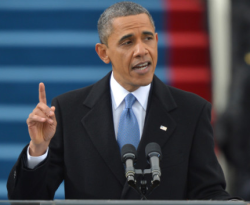 President Obama had his public inauguration today (1/21) and he gave his 2nd inaugural speech on the West Front of the US Capital. As I listened I couldn’t help but be impressed by the elements of the social contract he included in his speech. I have highlighted my favorite parts and plan on using these quotes in future essays and discussions I might have. This entry was posted in Essays, Humanist Living and tagged 2013, civil liberties, civil rights, democracy, government, Inauguration, President Barack Obama, religious freedom, secular humanism, social contract, social justice on January 21, 2013 by Doug. Isn’t Atheism Plus Another Name For Humanism? In the wake of some very public and nasty debates about diversity and lack of respect for women in the freethought community, Jen McCreight, author of the blaghag blog on the Freethought Blogs Network created what she is calling a “new wave of Atheism” whose name evolved into Atheist+. Her goal was to move Atheism from just dealing with the god question – Atheists don’t believe in a god – but to also deal with issues like diversity and social justice. It seems to me that Humanism addresses all the issues McCreight feels is missing from Atheism and Humanism is non-theistic. One question I have is why not be a Humanist? 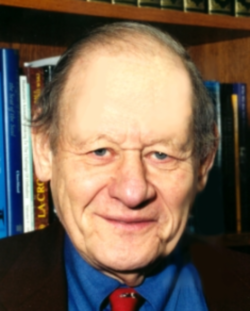 This entry was posted in Essays, Humanist Living, Humanist Movement, Intro to Humanism, Issues and tagged atheism, atheism plus, diversity, family squables, Greta Christina, humanism, Jen McCreight, secular humanism, social justice on August 24, 2012 by Doug. A new group looks to complete a census of secular Americans who are usually under-counted by religious-centric demographic surveys. 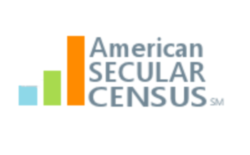 American Secular Census is an independent national registry of demographic and viewpoint data recorded from secular adult Americans covering those who are skeptical of supernatural claims. One reason such a census is needed and why secular Americans should participate is what happens in a Washington D.C. that is overly influenced by the religious right. This entry was posted in Humanist Movement and tagged American Secular Census, census, church and state, Congress, count, demographics, lobbying, local government, secular Americans, secular humanism, state government on July 4, 2012 by Doug. Normally I frown on creating new freethought groups because we tend to see new ones pop-up for no real reason but Secular Woman is a group our community needs to have. It will serve a group of non-religious people that tend to be under served or marginalize even within the freethought movement. I like their mission and value statements and the fact that even as a man I can join if I want to support their goals. This entry was posted in Humanist Movement and tagged atheism, freethought, humanism, new group, non-religious, secular humanism, women's rights on June 28, 2012 by Doug. Thursday May 3rd is the National Day of Reason in the United States. The day is a secular celebration for humanists, atheists, and other secularists and freethinkers in response to the National Day of Prayer, that is unfortunately a legal holiday in the United States. This country has many issues from high unemployment to religious conservatives attacks on women’s rights. The government shouldn’t be holding national days of prayer, we need reason to help solve human problems. This entry was posted in Humanist Movement, Issues and tagged atheism, church and state, conservative, freethought, government holidays, National Day of Prayer, National Day of Reason, religious discrimination, religious right, secular humanism on May 2, 2012 by Doug.